The 12 August is Her Majesty Queen Sirikit's birthday. This public holiday is celebrated nationwide as Mother's Day -. Starting a few weeks before the Queen's birthday, all buildings are covered up with Royal symbols and portraits of Her Majesty all over the Thai kingdom. 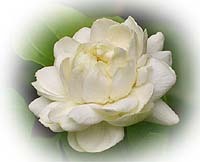 Let's check up what's update for.Mother's day ideas this month from flowerofthailand.com. 1. Jasmine Garland: The most favorite gift for mom in every years. 2. Bouquet of flower: To light up this day with a flower bouquet with a small card to tell I love mom. 3. Healthy Basket / Fruit Basket: Moms come in all shapes and sizes, but they all have one thing in common: a passionate devotion to their kids.Take this opportunity to tell her with our variety baskets. 4. Cake and Cookie : Make this Mother's Day unforgettable with these perfect-for-mom cakes and cookies. We've got delicious ideas for her. See more articles about Thailand.